Stobart Air, a Flybe franchise partner plans to increase capacity on London Southend to compensate the loss of the London City route. As from 31 Augustus 2018, SHS Aviation B.V., the majority shareholder of the N.V. SHS Antwerp Aviation (VLM), decided at an extraordinary general assembly to dissolve the Belgian airline and to liquidate it. Unfortunately, the longstanding route Antwerp to London City has been cancelled. 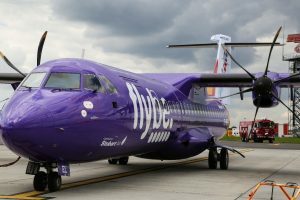 To compensate the London City route, Stobart Air, a Flybe franchise partner, will increase flights between Antwerp and London Southend to daily except Saturday. This will represent an increase of 50% in capacity on the route and shows a great commitment to the route and to all operations from Antwerp Airport. London travellers will be able to book this alternative with Flybe as from 4 September 2018. The additional flights are available on www.flybe.com. London Southend Airport boasts its own dedicated railway station that is just 100 paces from the airport. The airport is served by up to eight train services an hour offering direct links to Stratford (45 minutes) and London Liverpool Street (51 minutes). 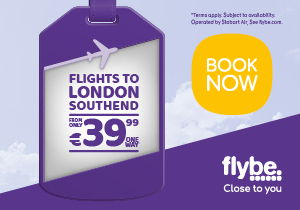 Flybe also offers quick and convenient connections of less than one to a range of destinations via London Southend Airport. With an average 5 minute check in time and 3 minutes to get through security, London Southend is the Capital’s favourite airport and has been voted Which? Best airport for London 5 years in a row.